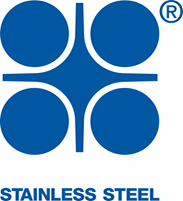 The Stainless Steel mark is a registered trade mark owned by Sassda. It may be used by Sassda Members on all goods made from or containing South African stainless steel or goods made in South Africa from imported stainless steel of an internationally accepted standard . Members of Sassda are entitled to use this mark on their products. They are encouraged to incorporate it in their company stationary and in their promotional literature. Prior permission for use of this mark in any appropriate application must be obtained from Sassda.